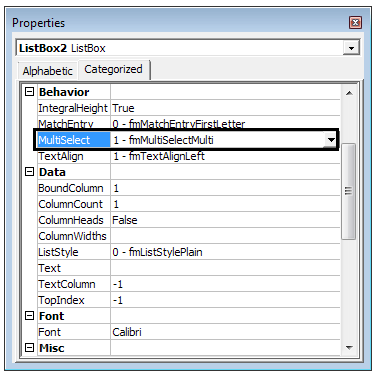 This tutorial explains how to use ListBox ActiveX Control. 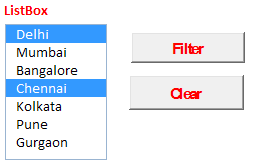 Click on "Categorized" and then provide input range in "ListFillRange" box and give value to "LinkedCell" box where you want selected value to be placed. 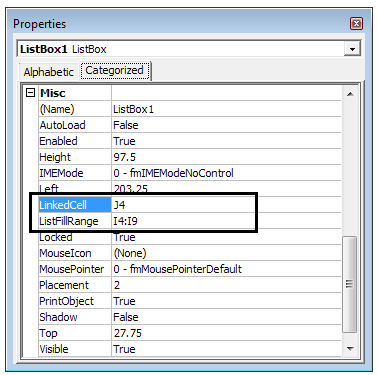 Do Until Sheet1.Cells(i, 14).Value = ""
Click on "Categorized" and then select "1 - fmMultiSelectMulti" from the drop down in "MultiSelect" box. 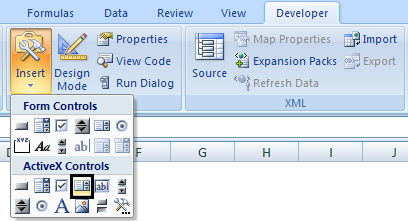 Assuming data that you want to filter are entered in B14:B44 in sheet1. 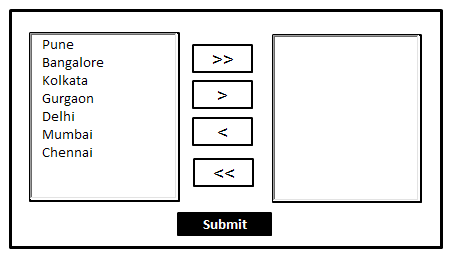 0 Response to "ListBox ActiveX Control Explained"